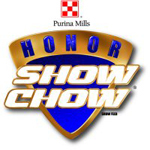 Read how your student can earn Honor Show Chow Rewards, and participate in the Honor Show Chow Top Performers Program. Let us help you raise a champion show animal! Get your Impulse Show Chow at Mansfield Feed Mill.